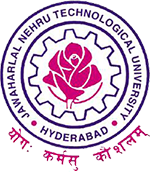 JNTUH, Hyderabad – Examination Branch – I B.Tech/B.Pharmacy advanced supplementary exams (R15 REGULATION only) August/September – 2016 Instructions to the Principals–Reg. 1. For the students applied for RC/RV, if the results are not declared by the time of start of registrations for exams., the students are advised to register as per the time schedule given in this notification even for the subjects in which they have failed and waiting for RC/RV results. However, if the student passes the examination in RC/RV results, the examination fee paid for passed subjects will be refunded by the concerned Principals and the registrations of that student in that subject will be automatically deleted. 2. Every college has to take the undertaking from the each and every detained student before collecting the examination fee for registration. when will be revaluation results declared there is only one day for advance supply examination.